We can't plan for an emergency. But you can make us ready for one. Today, it's my privilege to bring you the story of just one, amazing flight that happened because of your heart for MAF. Saving lives is a big part of being an MAF pilot. 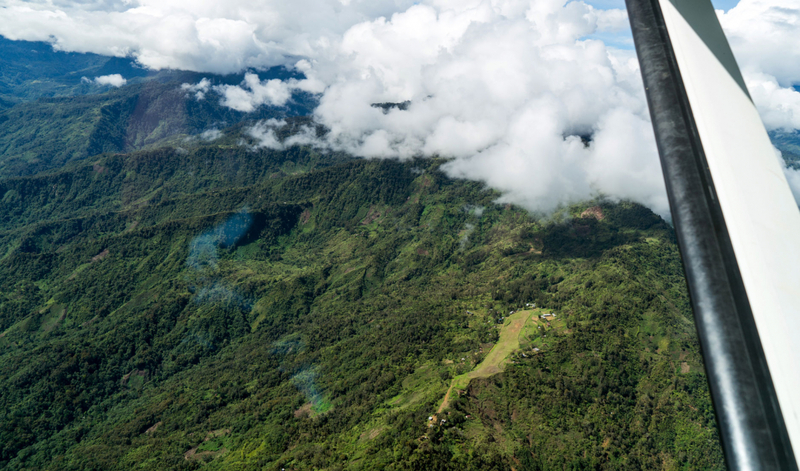 I fly for MAF in the jungles of Papua New Guinea (PNG). Let me tell you about a special day when I was flying my favourite aircraft – a Cessna 208 Caravan. 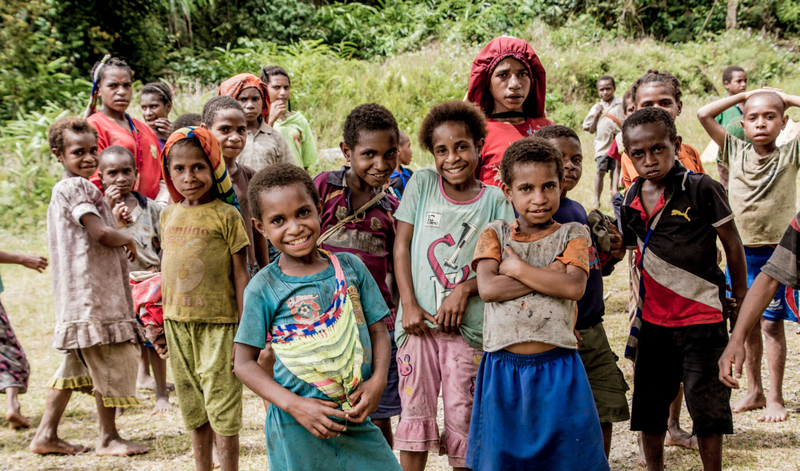 I'd left Lumi in PNG's coastal highlands bound for Vanimo Hospital with nine patients on board. On the way, I received a radio call. A teenager in Busilmin had been badly burnt. Could I help? How long before the patient arrives at the airstrip? I set off to save this poor lad. Landing at Vanimo, I filled up my fuel tanks as the nine patients were transported to the hospital. But then it got worse. Thirty minutes into the flight, a call came through saying that more rain was coming in from the east and moving fast towards Busilmin – and the patient. Even worse, the nearest hospital to Busilmin was in Telefomin and it was already raining heavily there. Approaching the Highlands, the scene was terrible. 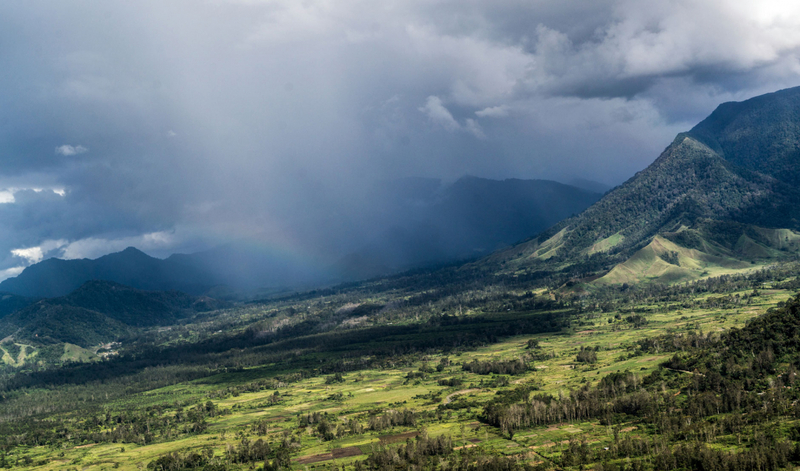 Vast rain clouds shrouded Telefomin making it impossible to spot the Sepik River, which I needed to help me navigate up the valley to Busilmin. I'll be honest with you, I almost gave up the search before realising it was time to pray. And, as is so often the case after a quick talk with God, He showed me the way! The river appeared below me, through a small opening in the cloud. Busilmin is a class D airstrip – one of the most difficult used by MAF. The tight circuit into this strip meant I would have to fly close to the terrain all the way into the landing. There's precious little room for error. And then I saw it. Rain. Landing on a mountain strip takes great care on a bright, dry day. This late appearance of rain demanded my immediate reassessment of the risks on landing. On the 'base' leg of the flight – the one just before turning – I broke through the rain. Visibility through the propeller was good enough for me to continue my approach. In the back of my mind, I was thinking about how I'd get out of there if I could land the Caravan. The top of this short airstrip is a cul-de-sac into the valley wall, so I couldn't see up and out of it. The landing was bumpy – there's no better 'technical' word for it! I touched down on the side of the mountain where grass hides the rock underneath. As I landed, I had to steer the plane uphill around the sharp dogleg (left-hand) curve. The Caravan is a four-tonne plane. That day at Busilmin, it touched down at 86mph on just 500 metres of airstrip. The plane made it look easy. It is fantastic – very similar to the Grand Caravan that more than 8,000 supporters helped us to buy last year for South Sudan programme. For that remarkable act of kindness 12 months ago, everyone at MAF thanks you once again. You can help make more life-saving missions happen today. I'd made it! But then my heart sank. Where was everyone? I was on an empty airstrip. Alone on the side of a mountain; the only sound was the roar of a massive waterfall. Yet again, God calmed my nerves with an answer to prayer. Small children began to emerge from the crest of the hill below. The village is at the bottom of the strip. I could now see the entire community making their way up the steep incline. The first to greet me was the schoolteacher. He was sweating profusely from the climb and surrounded by his students – aged from 5 to 20. He told me that the 'boy' was 18 years old and from a nearby village. He'd fallen into a fire two days ago – breaking his fall with both hands and also burning his leg terribly on the flames and hot coals. Without immediate help, such injuries often lead to disfigurement or even death because – as always in the jungle – open wounds are in constant danger of infection. I waited for a further 30 minutes. By now, a great crowd had assembled at the top of the hill. Everyone wanted to play their part in seeing the MAF plane rescue the young man. They would talk about this day for a long time to come. Then came the sight I will remember forever. 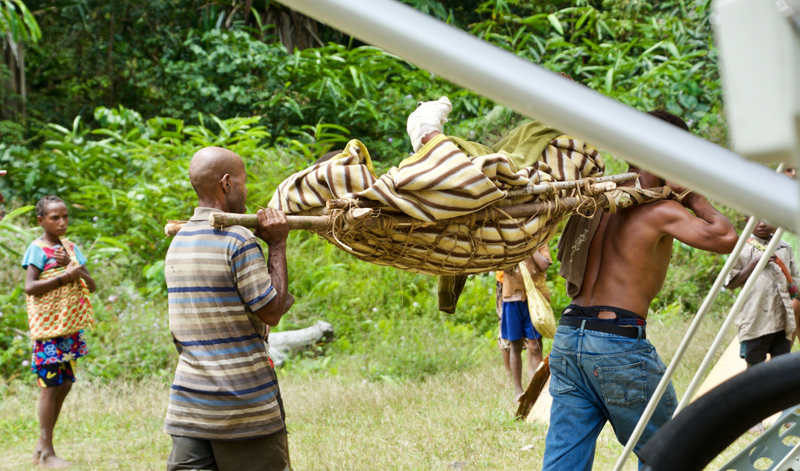 Four strong, young men carried the patient up the hill in a bush stretcher they had constructed from vines and sticks. Bathed in sweat and utterly focused on their mission, the four men didn't break pace. The pain on the boy's face was beyond words. So was the look in his mother's eyes. We eased the stretcher into the main cabin of the plane – making sure the patient was as comfortable as possible before departure. From the corner of my eye, I could see the four stretcher-bearers laid out on the grass, chests heaving. They'd collapsed from sheer physical exhaustion. The remainder of the day was relatively uneventful. I cleared the valley wall on take-off and found my way to Telefomin in time to see a brief burst of sunshine directly over the hospital. The airstrip was wet and boggy – dirt sprayed from beneath the tyres as I landed. Storms were building again around the mountains. The MAF ground staff were quick to unload the patient and send him to hospital. I thought of that initial decision to make an extra effort to save a life. It seemed like an age ago. I thanked God for His amazing grace. 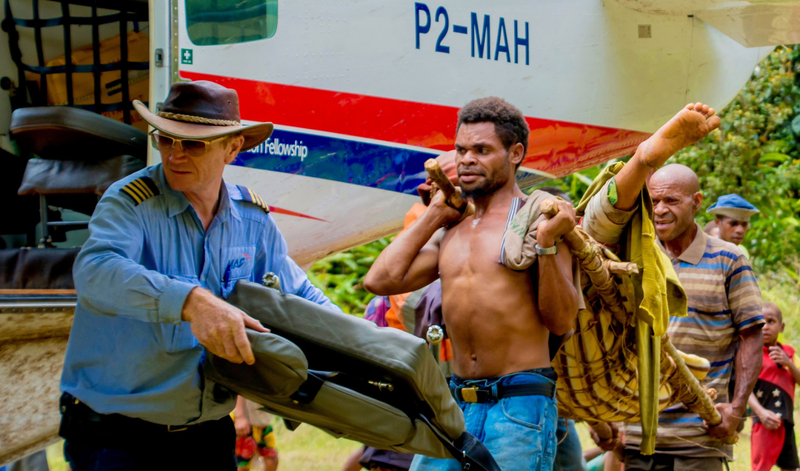 The people of PNG have named my plane 'Balus Bilong Mipela' – 'my plane'. And, to them, I am Pilot 'Bilong Mipela' – 'my pilot'. I have the best job in the world. I work for God and I am trained by experts to save lives. In this case, that of a young man with a bright future. And that is my reward – knowing that my life is worth living. 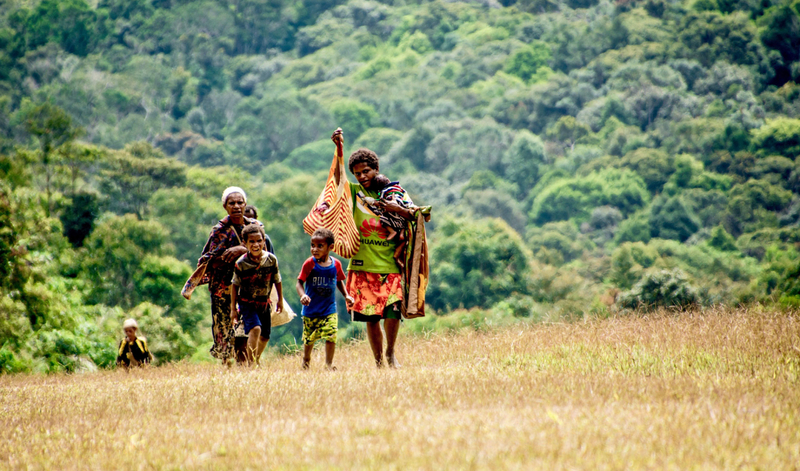 Your donation brings MAF planes to the remote locations where they are most needed. An MAF flight can mean the difference between life and death. Please say a prayer today for our work in 27 countries and make a gift towards the next MAF flight – whether planned or emergency. Thank you so much for taking the time to read how Paul’s flight saved a life. It’s a perfect example of the professional judgement our remarkable pilots exercise every time they take to the skies.